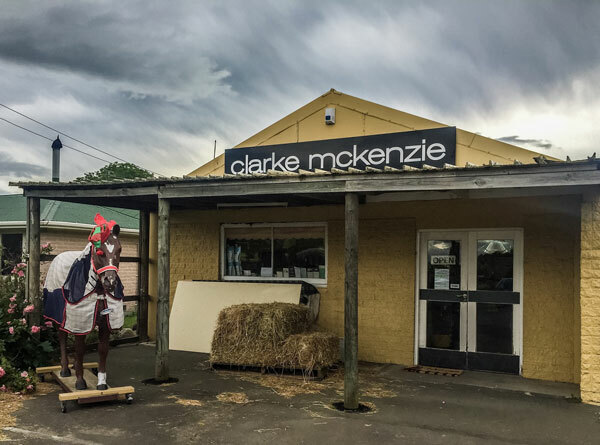 Situated in Belfast (Christchurch New Zealand), Clarke McKenzie Ltd has it’s origins as AR McKenzie Saddlery which was established in 1913. Today sees the business offering a large retail space and online shopping with an extensive range of imported and local products for horse lovers of all ages, disciplines and experience. Knowledgeable and experienced staff are always ready to welcome and assist you in person or by mail order. The on-site workshop has experienced canvas and saddlery workers able to repair and manufacture a large range of items, from boat covers, tarpaulins, trampolines, windsocks, the list goes on. A specialised Saddle Fitter completes the team, providing expert saddle fitting services to the local community and throughout the South Island. Clarke McKenzie is a team of progressive and dedicated professionals, committed to ensuring you receive the very best service.